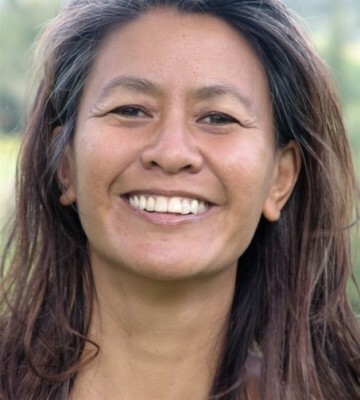 Amy Chang is 35 year Hawaii resident and haumana (student) of the Hawaiian tradition: hula, language and chant. She has had the privilege to study with many lineage holders. She danced both opening and closing ceremonies at the 2014 Ka ‘Aha Hula O Halauaola World Hula Conference in Kauai with over 300 hula ‘olapa. Celebrating and comfortable with detailed choreography and deep chaos, Amy has developed a special Hula flow fusion class for OneDanceTribe that will draw on ancient concepts, applying simple traditional moves free from interpretation. We will also learn the traditional “E ho Mai” chant, a simple ‘all use’ invocation and dance bare feet under open sky on the powerful and beautiful ‘aina of Keanae peninsula.